SAN DIEGO. General Atomics Electromagnetic Systems (GA-EMS) has been awarded a contract from Advanced Technology International (ATI) to develop and demonstrate a prototype lithium-ion fault-tolerant (LiFT) battery system to be used in the U.S. Navy’s prototype “Snakehead” large-displacement unmanned undersea vehicle (LDUUV). 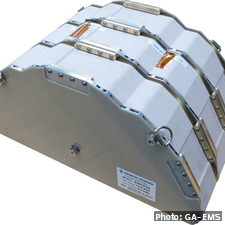 GA-EMS documents say that the LiFT battery system is designed to power the propulsion and support systems of the Snakehead LDUUV, in a bid to increase the UUV's endurance, range, and payload hosting capabilities to support a variety of future mission and operations requirements. The LiFT battery system is designed to be modular and flexible to meet different kinds of manned and unmanned underwater vehicles' needs. 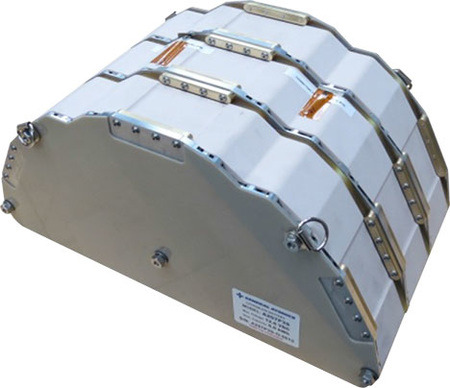 The battery system has already undergone rigorous at-sea testing, including use in other undersea vehicles that have been classified by DNV GL, an international accredited registrar and classification society for the maritime industry, to demonstrate the safe operation of the LiFT battery system architecture.